Vanderborght called the helo a “significant step increase in capability for the Marine Corps,” with more than three times the lifting capability in the same sized aircraft. The aircraft will also be more reliable, Torok said, thanks to an automated logistics system that monitors aircraft performance, requests feedback from the pilots and funnels the information to the maintainers to make decisions about ordering spares..In the U.S. Marine Corps, Brown, the NAVAIR spokesman, said that the CH-53K will start replacing the CH-53E in 2019, and the first four fully operational aircraft – complete with logistics, personnel, and training – should be in place later that same year. 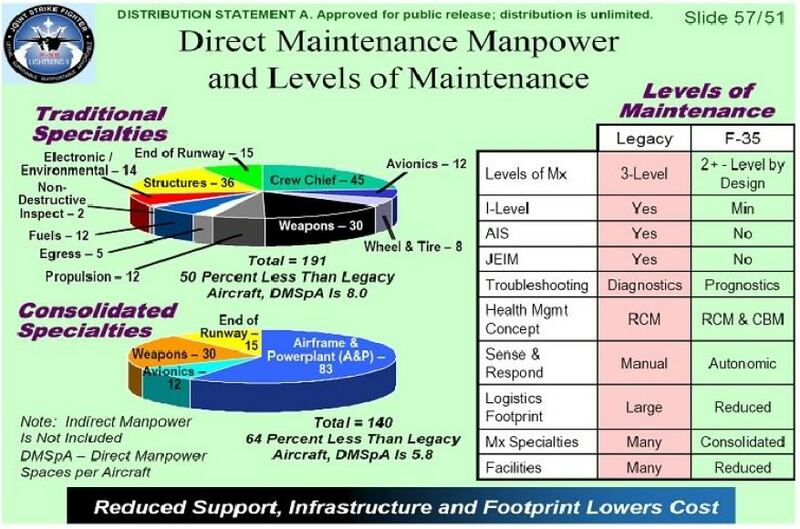 As we have learned, the F-35 ALIS program has many apps, the PW engine monitoring is one that comes to mind. Perhaps the LM/ Sikorsky CH-53K ALS program has been able to use some of the ALIS apps at a reduced development cost and a commonality that allows similar future upgrades. As sort of described ALIS is more than just a computer program it's a whole new way of business that is more aligned with how civilian airlines have been doing it. Lockheed Martin will begin studying options for adding a software filter to the system that tracks maintenance and training data for the F-35 fighter as part of an effort to limit the amount of data that gets shared with US-based contractors over concerns about privacy and sovereignty. The US government intends to award a sole source contract to F-35 prime Lockheed to conduct a trade study for connecting a "sovereign data gateway" (SDG) to the autonomic logistics information system (ALIS), according to a 17 October Federal Business Opportunities website announcement. Lockheed's ALIS is programmed to keep track of thousands of operational details about the F-35 fleet, including data from health monitoring systems on board the aircraft as well as the training and flight logs for each of the pilots. As the global data hub, ALIS is supposed to order parts and schedule training as they are needed, saving operators the burden of managing and back-filling spare inventories. For the system to work, the jet must automatically transmit information after and even during each flight by an F-35 to Lockheed's ALIS hub in Fort Worth, Texas. But that automated stream of data also worries some of the F-35's international customers. To address those concerns, the SDG software will remain within the partner country’s central point of entry and will control the flow of data to the Autonomic Logistics Operating Unit (ALOU), the F-35 Joint Program Office says in an emailed response to questions. The software will allow each partner country to inspect and verify data flowing to and from the US hub, the JPO stays. The software will also be able to block, modify or delay sensitive data. One example of sensitive data are details in the pilot's training and flight records, which in some countries are protected by privacy laws. Now that it is working, they can begin to refine it with these upgrades, common software process. I spoke with one of the F-35 tech sergeants at the airshow at Ellington Field outside Houston last Saturday. In contrast to my experience with USAF staffing in the 80's, he told me that there were only two different spesialists on the F-35, Avionics and crew chief. For that to work ALIS must be an impressive tool for fault finding, for one tech to cover all the avionics. As advanced as the aircraft is, with so much more capability than the Viper, I find it absolutely astonishing. Can anybody confirm that I understood this correctly? lamoey wrote: I spoke with one of the F-35 tech sergeants at the airshow at Ellington Field outside Houston last Saturday. In contrast to my experience with USAF staffing in the 80's, he told me that there were only two different spesialists on the F-35, Avionics and crew chief. For that to work ALIS must be an impressive tool for fault finding, for one tech to cover all the avionics. As advanced as the aircraft is, with so much more capability than the Viper, I find it absolutely astonishing. Can anybody confirm that I understood this correctly? What is ghe typical number of crew chiefs for older jets? Too bad we didn`t have ALIS back in `75. I could hack/dig into the missing days where I was flying .. somewhere in SE Asia, April 28th ... and then disappeared .. only to have flight hours suddenly reappear in my log records from 1 May forward in the same theatre. The time warp to the Bermuda Triangle for two ...uum.. dark .. days limits my access to `Vietnam Service.` But at least the rest on the Bermuda beaches was good for the fatigue of crew rest violations we didn`t have then. Needless to say, I`m not a big fan of ... purging data .. This new capability seems to bring some risks. I`m not sure I Iike this `data washing`. Be careful what switches you put on your machines ...Just saying ... There can be undesirable impacts, even if they are 40 years later. Last edited by blindpilot on 28 Oct 2016, 04:32, edited 1 time in total. "New F-35 software could quell ALIS sovereignty concerns"
"The second is ALIS’s dependence on the Internet for communications between user terminals and the main ALIS server in Fort Worth, Texas, which will have absolute control over the F-35 system. " If this is the case I REALLY hope they have that system secure. The last thing we need is a foreign power compromising it and grounding the fleet for us. VPNs, SATCOM, and private (gov) internet feeds will keep it all moving securely. Wait, you mean Lockheed knows what they're doing? "Lockheed Martin's next iteration of the F-35's Autonomic Logistics Information System (ALIS) has been approved for installation at U.S. Air Force and U.S. Navy F-35 sites. Along with a number of improvements to the system's baseline, the upgrade delivers significant enhancements for managing forward operations and sustainment. ALIS is the F-35's fleet management system, reducing the cost of operations and maintenance while increasing aircraft availability. After successful flight testing, upgraded ALIS software – called version 2.0.2 – will be installed at all operational F-35 sites by the end of 2017. The upgrade has performed well in supporting F-35 operations at Nellis Air Force Base, Nevada, since March 22. "This upgrade will allow deploying units to predict 'what if' scenarios inside ALIS, removing most of the manual planning that is done today," said Reeves Valentine, vice president of F-35 Logistics. "ALIS 2.0.2 will allow users to forecast and make those decisions. Picking the best jets, support equipment, spare parts and personnel for the deployment and managing resources throughout their lifecycle – that type of data should ultimately translate to better aircraft availability." The updated software also includes a networking feature to more easily establish connections between deployed locations and home stations. This upgrade offers parent units more versatility in managing the logistics "tail" – the chain of supplies and spares – for a deployed squadron. Approval for fleet-wide fielding to F-35 sites for the U.S. Marine Corps is expected in the next six weeks. The U.S. Marine Corps and U.S. Air Force declared F-35 initial operating capability (IOC) in 2015 and 2016 respectively, and the U.S. Navy is set to declare IOC in 2018. ALIS is operating at more than 20 locations and has supported more than 90,000 F-35 flight hours...."
"...All versions of the joint strike fighter use the same logistics architecture, but the Marine Corps’ F-35B needed a particular update to the engine’s computing system for ALIS 2.0.2, said Mike Beard, who works F-35 logistics strategy and customer engagement for Lockheed. Pratt & Whitney didn’t have that update done in time for testing at Nellis and Edwards Air Force bases, but have since completed it. ...Because of the delays to ALIS 2.0.2, some of the capability for the next version of the system, ALIS 3.0, has been offloaded to the later version, called ALIS 4.0. ALIS 3.0 is still planned to be fielded in early 2018 in time to close out the program’s system development and demonstration phase. Valentine said the focus of ALIS 3.0 was including key user enhancements seen as critical for wrapping up the system development and demonstration phase — including improved data transfer software that reduces the time it takes to load large files and tools that filter out redundant information — as well as security updates. The new ALIS 4.0 version will be completed a year later for an early 2019 fielding, he said. Besides further usability enhancements, it will incorporate new capabilities that address, for example, diminishing material supplies." ...must be the fan/gearbox delta held up the Corp version???? SpudmanWP wrote: VPNs, SATCOM, and private (gov) internet feeds will keep it all moving securely. From my work experience in the IT infrastructure (worked many times for the italian military) i'd feel quite safe about that connection. Militaries have a very "loose" definition of internet and most of the devices, like the SH cards (p-2-p F.O. )cannot be accessed from the outside.